Natural gas trucks typically weigh more than diesel trucks due to the extra weight of natural gas fuel tanks and other ancillary fuel system equipment. Under the current federal weight regulations which allow a maximum of 80,000 lbs on federal highways, natural gas trucks are at a slight disadvantage with the amount of cargo they are allowed to carry per load. 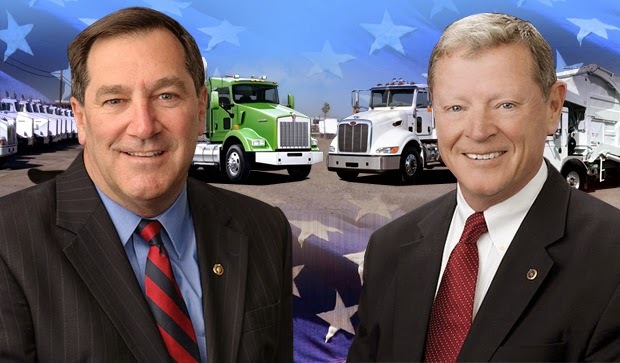 This bill is one of several legislative initiatives being advanced by the natural gas vehicle industry to level the playing field for natural gas vehicles in the market and allow fleets to take advantage of lower fuel prices. While the introduction of S. 2721 is seen as a positive move, it’s unclear if the bill will be passed this year. “This introduction illustrates that politicians understand the importance and value of advancing deployment of natural gas vehicles, especially heavy-duty trucks, and are working toward passing legislation to reduce barriers for fleets to adopt natural gas,” said Tahra JuttWestport’s manager of global regulatory and government affairs.